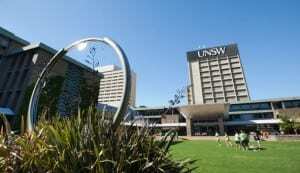 Australian researchers have developed an ultra efficient photovoltaic (PV) system. According to a report from Live Science, researchers from the University of New South Wales (UNSW) have managed to convert over 40% of the sunlight that hits the solar energy system they developed into electricity, which is record-breaking efficiency for a commercial PV system. More than one test proved the technology produced the highest commercial efficiency ever reported. The first time that the solar energy technology was tested outdoors and achieved its record-breaking efficiency status, was during an outdoor test in Sydney, Australia. A second test took place in Golden, Colorado at a facility operated by the National Renewable Energy Laboratory (NREL), which is America’s chief lab for energy efficiency and renewable energy research. The Australian research group, which developed the new solar system, was led by Martin Green, a professor at the UNSW and director of the Australian Centre for Advanced Photovoltaics. However, in spite of their impressive results, this was not the first time that the team exceeded a world record for energy efficiency related to solar power. Back in May 2011, the team developed a crystalline silicon solar cell with a 19.3% efficiency, which beat the previous 18.9% silicon cells efficiency record. Then, one month later, they managed to improve their cell, enabling it to produce 19.4% efficiency. Solar cells produced in labs have even higher efficiencies than commercially available solar energy systems. Although the UNSW team has broken a record on a commercial scale, earlier this month, the Fraunhofer Institute, which is based in Germany, managed to create a solar cell that can covert 46% of the sunlight that hits it into energy. That being said, while this lab-produced solar cell may be more effective, the reality is that it will cost more to produce than the UNSW solar power system, which, for the time being, makes it less commercially viable. This is what makes the UNSW researcher’s solar energy system so impressive. They used solar cells that were commercially available and combined them with optical filters, which trap wavelengths of light that the standard solar cell is unable to capture. This is a technology known as concentrator photovoltaics (CPV). Although this technology is often linked to high production costs, because the team built their system using materials that were commercially available, it kept the cost down.